Contact our PartyMojo office at 65696992 / Sales 81606655 /Yolanda 81606622 to enquire now! Drop us a quick email at [email protected] today for your very own grilled taiwan sausage station! Don’t like the normal sausage? 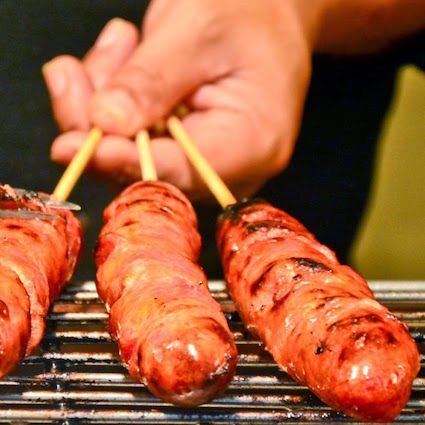 Don’t worry as we have the grilled Taiwan Sausage Station for you and your guests! 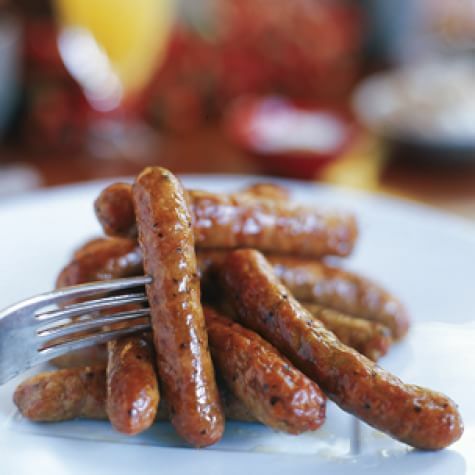 Excite yourself with the sizzling hot sausages in your mouth and you know you want it! How many servings can you serve in 1 hour? We can cater up to 100 servings in an hour. What’s required from me if I hire PartyMojo’s Grilled Taiwanese Sausage station? Simply provide us a table and a powerpoint and we’re good to go! Don’t worry, table are available for rent at $20 too! What is included in this Taiwanese Sausage Package? A young, lively manpower to help set up and assist the station and also delivery charge is included as well! yes they are all cerified halal! We use Chicken sausages! No problem! We can cater to as many people as you want in the hour. Simply call or email to enquire with your event details and you will get a quotation within a day! What’s required from me if I hire PartyMojo’s Fried Taiwanese Sausage station?